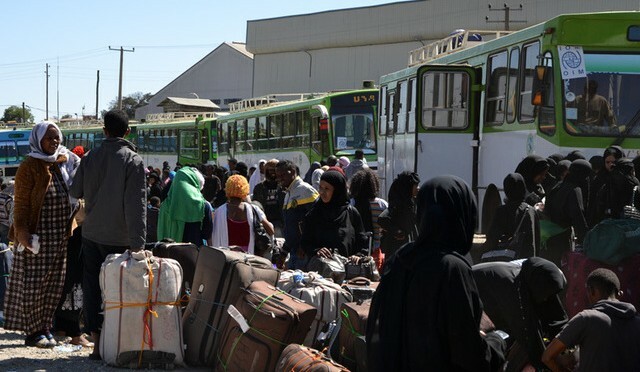 Between November 2013 and March 2014, more than 160 000 Ethiopians were expelled from Saudi Arabia after a seven months amnesty period for undocumented migrants came to an end. A huge majority of them received humanitarian support. It represents not only a major deportation campaign, but also a high-scale operation to support the deportees at their arrival. This presentation is an attempt to analyze post-deportation assistance and political responses in the context of mass deportation of foreign workers from Saudi Arabia in 2013-2014. It aims to examine without separating them deportation measures, with their social and political impact in the country of origin of immigrants. We argue that the specific treatment of foreign workers in Saudi Arabia should not be separated from a global migration framework, in which the acceptance of sending back irregular migrants is central. The large-scale regularization campaign of the Saudi government on Ethiopian migrants must be seen in light of the ‘Arab Spring’, when popular uprisings in the Middle East were threatening authoritarian regimes. The effect of the Arab Spring was felt globally; the uprisings impacted upon migrants living in countries in the Middle East and on their countries of origin. This paper looks into the experiences of Ethiopian deportees prior, during and after their forced return. We argue that the fact that the migrants were not prepared for their sudden return affected their economic, social network and psychosocial embeddedness back in Ethiopia. In addition, the Ethiopian government has not been able to improve the returnees’ economic embeddedness, which has affected their social and psychological status negatively. 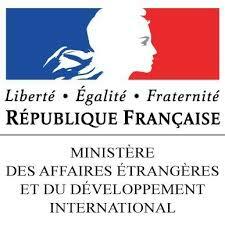 Clara Lecadet is a postdoctoral fellow for the research program ‘Global mobility and migration governance’ (MobGlob) at the École des Hautes Études en Sciences Sociales (EHESS) in Paris. Her research focuses on the emergence of the protest movements of an expelled migrants in Mali and other African countries, and the various forms of organization among expelled migrants during the post-expulsion period. She co-edited with Michel Agier Un monde de camps (La découverte, 2014). Medareshaw Tafesse Melkamu is a Lecturer and Researcher at Ethiopian Police University College. He completed his MA Degree at Addis Ababa University in Sociology. His research interests lie in the area of forced return migration and reintegration, human trafficking and policing issues. He has been a team member of a research project entitled “Time to look at girls: Adolescent Migrants in Bangladesh and Ethiopia.” He contributed to the conference on Migration and exile in the horn of Africa : state of Knowledge and current debates, held in Khartoum on 17-18 November 2015.